I’m very excited to share the eleventh episode of the Woolful podcast. 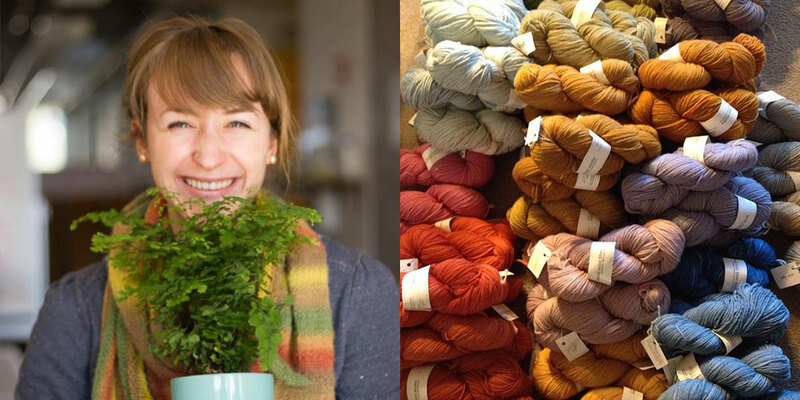 Today we get to meet two special fiber industry companies, and the folks that make them what they are…Emily Tzeng and Tatyana Vashchenko of Local Color Fiber Studio and Chris Barnes of Brittany. Man on the street: For this week’s “Man on the Street” I asked a handful of fiber enthusiasts to answer the following question, “What other types of things outside fiber crafts, do you enjoy making?” We had some amazing replies from Carly @porcupineology, Nikki @woolenviolet, Amber @dapperewe, Maria @ninja.chickens and Sam @samanthamaylamb . Giveaway: The winner of last week’s giveaway is…Brienne Moody! 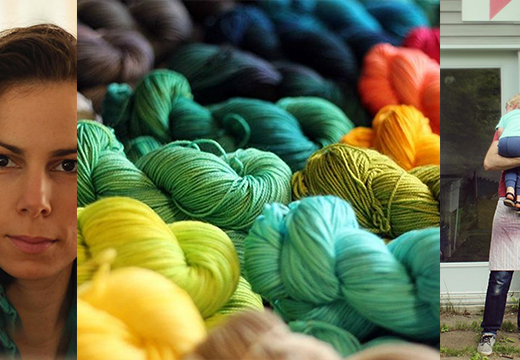 Congratulations, you’ve won a special naturally dyed mini skein pack from Southern Textiles. 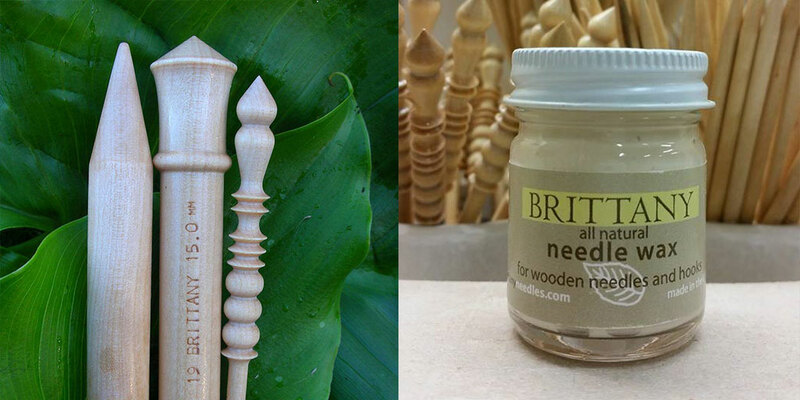 This giveaway this week is sponsored by Brittany, and we’re giving away a pair of their beautiful wood knitting needles along with their brand new needle wax, which helps maintain the finish and slickness of your wooden needles. To enter this giveaway, leave a comment below. Those needles look so amazing! Can’t wait to listen to the podcast and hear more about them! Loved today’s episode! And those needles look amazing! Those needles look so amazing! I always look forward to your podcasts and meeting new fiber people. so many wonderful links to check out PLUS the podcast!!! yay! Those Brittany needles are beautiful! Those needles are beautiful would love to knit with them. wow, I found your site and instagram last week and ‘am already ‘into’ your podcasts. Just finished listening the 10th. Going to listen to this one right away. So interesting! Thank you so much! Oh, and I’ve never seen such pretty needles before! The needles look so beautiful! Thank you for your podcasts. Wonderful!! I cannot wait to listen tonight on my drive home. Thank you, thank you, thank you for the continued inspiration. Wonderful podcast this week (as usual)! I always love hearing more about natural dyeing, and it’s nice to know that Brittany needles are made in the US. They look lovely! I’m excited to listen to the latest episode and glad to learn about another US-made needle company. DyakCraft also makes all of their needles in the US and they make interchangeables, to boot. I’m looking forward to checking out Brittany’s needles next! Great podcast! Brittany needles are my favorite! I have three sets of Brittany needles and I love them. I also had personal experience with the replacement policy and was blown away by that. Nice to hear the company history. When I clicked the link you provided for Southern Textiles, I was sent to some weird page. It looks like the website domain name is for sale. Just thought you should know. The Brittany needles are gorgeous. Checking out their website right now. I enjoyed this episode a lot. Lovely to hear about natural dyeing and growing and also about Brittany Needles and the journeys involved. I can’t wait to listen to the podcast later on today!! The needles look gorgeous and I’m excited to learn more about them! What a delightful podcast! I love my Brittany needles! Brittany size 8s were my first knitting needles and they are the best. This episode was so fun. I always feel so inspired listening to people talk about their forays into natural dyes. I haven’t taken the plunge yet, but the more I hear about it, the more I want to try my hand. I am so looking forward to a quiet moment to listen to this podcast. I would love a chance to win those beautiful needles. Once again another great podcast! I would love to win some of the wonderful needles by Brittany! A most intersting podcast. I enjoyed learning about the natural dye farmers and the lovely Brittanay needles . More power to the local movement! I love my Brittany needles and had no idea they had such a story! Thanks for featuring companies and people like these. Another great podcast! I just discovered this series a couple days ago and have found it to be so inspiring. Enjoyed the podcast and learning about Brittany needles. Love the naturally dyed yarns, they are beautiful! I have only recently discovered your podcasts and now my favourite activity is to spin and listen. Thankyou. Beautiful needles! I have been discovering your podcasts and so enjoying them! I too have been glad to know about the ins and outs of needle making. ; the variety of guests you interview is one of the features I mostly enjoy in your inspiring podcast. Thanks! LOVED learning about Brittany needles! Thank you Ashley! Love that Brittany needles are made in the US! I’ll have to get some! art of woodturning and creating.so very encouraging for so many who are trying to blend their life passion with a sustainable livlihood.community is essential..thank you for helping all to live their dream. Those needles are beautiful! I have been wanting to use more natural needles. One of my best friends gave me a pair of Brittany needles many, many years ago; I was a somewhat newish knitter, and I remember being so taken by such a beautiful object that would help me along. Thanks for the great content. Love the podcast! So exciting to hear from island neighbors! And what a treat to learn about Brittany needles! Thank you! Another good one! Loved listening as usual! I may have the inspiration I need from this podcast to finally plant the package of Japanese indigo seeds I was given a few years ago by another participant in a natural dyeing class. I also appreciated the reference to farmer’s markets — I live in downtown Toronto, yet was able to buy a sheep’s fleece from my local farmer’s market which I’m having so much fun working with! As much as I’d love to have access to my own piece of land, it is remarkable how resources do exist in one’s community — urban or rural — allowing one to be engaged in so many aspects of the making process by hand. Woolful truly celebrates this! Loved this episode. Thanks for fueling my creativity . The needles are gorgeous!! Great podcast as always! The Brittany needles and hooks are beautiful. I plan to look for them at my LYS. Ah, Brittany! My first wood needles, my first non-cheapy-small-town fibre-related purchase. I also impaled myself with a size 10 at the movie theatre. I went to go see There Will Be Blood (ha. ha.) and brought my knitting because I am one of those get-there-early types. I sat down and felt a pinch. When I looked, there was my needle, at an odd angle. It had gone through a thin sweater and my t-shirt, and pierced my side – over my ribs near my back. In one spot, out an inch away. I must have flopped down pretty hard because they aren’t /that/ sharp, y’know? They went on to provide many years of service. I finished my first nice scarf with those. Sigh. Have really enjoyed your podcasts- lots of fun stuff to daydream about today- island living and making cool tools. Brittany DPNs have a special place in my heart. I use the longer size 2s for hats and just treated myself to 2 sets to replace my 12 year old original set which had little nibbles on one from a teething kitten. Would love a chance to win some-thanks again! Oh, I love Brittany needles! So glad to see them on the podcast! It’s been such a long time since I worked with straight needles, but sometimes I really feel that I miss working with them. Needles to say that these ones are absolutely beautiful. And they are even more precious to me, now that I know that they’re made in Lithuania. Love your podcast. I have a set of Brittany needles that were passed down to me and they have a very special place in my needle stash. They are beautifully crafted. such beautiful needles! thanks and love your podcast!! your podcasts are always really interesting and It’s a pleasure to listen while knitting, congratulatiions! I have exactly one set of Brittany DPNs… now that I’ve heard their story I’d love to have more! I had no idea it was even an American company, much less that it’s so small and interested in sustainability. What an amazing episode – so inspiring! I’ve never come across Brittany needles (not available in my city! ), but would love to try them. Thanks again for what you do, Ashley, and to your guests for sharing so much. Thank you for another great podcast! I was so inspired by all 3 guests. I cannot believe the care that goes into creating Brittany’s needles. Brittany needles have always been my favorite. They are a joy to knit with. Have been following your instagram for a while now, and just started to listening to the podcast all the way from week one. I’m literally taking notes! : ) Would love a pair of needles as I’m just getting into the craft. I love your podcast Ashley! I look forward to it every week and after listening to todays I’d love a chance to win some of those fantastic needles! Wonderful to hear a whole new variety of maker on your podcast. I love the connections drawn between working with wool and so many other crafts and skills- woodworking, agriculture etc. It’s wonderful to see how people find their niche within a shared passion. Great episode! 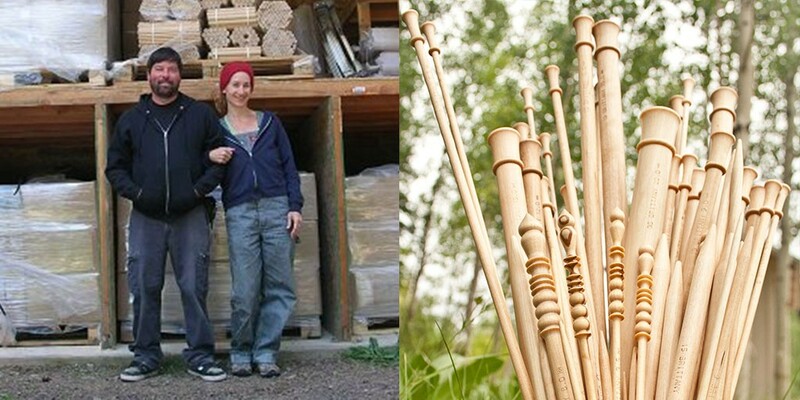 I loved learning about sourcing wood for needles–something I’d never thought about before. Loving this podcast! Just discovered it the other day. Looking forward to more of them! 🙂 Also enjoying your Instagram posts! Yay fiber folk! Emily and Tatyana have inspired me to save a corner for dye plants in my plot in the Greenwood, IN, community garden this year. I didn’t realize that some of the things I usually grow already ARE dye plants! Rudbekia!! There is another, probably somewhat smaller, American maker of wood needles that you should explore – Indian Lake Artisans. I’m not affiliated with them in any way, but I have seen and admired their handcrafted needles. I just binged on every single Woolful podcast episodes… I’m going to go on withdrawal! So interesting! I’m so excited to have found your podcast and website! I crochet, but am eager to learn how to knit as well. I’m also intrigued by dyeing and spinning. I have chronically cold hands and would love to use some Brittany needles and hooks. I loved hearing about Brittany needles on the podcast! Would love to win a pair! It’s such a treat listening to your podcasts! Each one has been so lovely and inspiring. Thank you for introducing me to such wonderful fiber folk!! This episode was amazing! Listened to it on daily walks with my infant – loved it so much. The interview approach you choose together with the questions paints such a wide and full picture of these people and their story. I can envision their lives and what inspires them on a day to day basis – and I never manage to get such a bright impression of context from other podcasts or “About” stories. Thank you! I have really been loving this podcast. There are so many interesting and inspiring people out there in the fiber world! Thank you! I just recently discovered your blog and podcast, and I just want to say that I am thrilled! I plan on going back and listening to the archived podcasts. Another wonderful podcast. I’m always so inspired. Thank you! I enjoyed both segments; I never thought about the sustainability of my needles. I hope that Chris can perfect his circulars! My favorite episode yet! Thank you. Great podcast – as always! I have been listening from the start. I really love your interviewing style – just enough prompts to let your guests tell their amazing stories. As an Australian, I am also loving all of the Aussies on previous episodes. This episode was fantastic. I loved the interview with Chris Barnes, and will be on the lookout for Brittany needles at my LYS. Listening to your podcast every week makes me fall more and more in love with this wonderful community. Everyone is so inspiring and thoughtful. The first pair of wooden needles I ever bought were Brittany’s. I got them from the tiny LYS in my college town along with fuzzy pink boucle yarn so I could knit on my flight home for Christmas. I don’t remember what happened to that pink scarf I made, but I still have those size 10 needles. They have a few kitty teeth marks in them but still hold up 8 years later. I am a third generation Brittany fan. My grandmother fell in love with their lovely wooden needles years ago-she handed her Brittany knitting needles down to my mother-who handed them down to me! Love them! Keep up the great work, Ashley! I am learning so much new & useful information. Thanks for another fascinating and entertaining episode this week, Ashley! I just love setting aside a couple of hours to weave and listen. I have a set of Brittany dpns and I love them. and I love your podcast! Recently discovered your podcast. In love and so hooked ! Those needles are beautiful and I am so encouraged by their story! How wonderful to know of more people that care about how things are made and how they affect the world. I woul love to try those beautiful needles. Thanks! Brittany needles are my absolute favorite wooden straight needles. I teach knitting and this is the brand that I buy for my students. So to be the lucky winner of this give away would make me extra happy! And I really enjoyed the interviews this week. Especially the Brittany interview. My parents have a family run custom millwork business that has been running since 1878. So I have a deep appreciation and love for family run businesses. Well done once again! Another wonderful episode. I’m so tempted to try out straight needles now just to sample such a beautifully made and thought thru product. Thanks again for introducing so much goodness! Another GREAT podcast, thank you. So interesting to hear about wooden needles production. I love wood and knitting! I really enjoyed the interview with Chris. It was very interesting to learn more about Brittany needles. I have a few, but never knew the story behind them. Yet another wonderful podcast!Thank you Ashley! I wait all week for it! I would also love the chance to try out the Brittany needles and wax. Thank you! LOVED listening, emily and tatyana are so inspiring! and brittany needles alive and well?! i was so happy and excited to hear this. they have been some of my favorite needles for years, but i’ve had a difficult time locating them the past few. i’m thrilled to hear chris is busy making(mendocino, eek!) and a link to order on etsy (i checked out their website and am following on ig now too). yes please i would LOVE to win!! Another wonderful episode! Thank you. 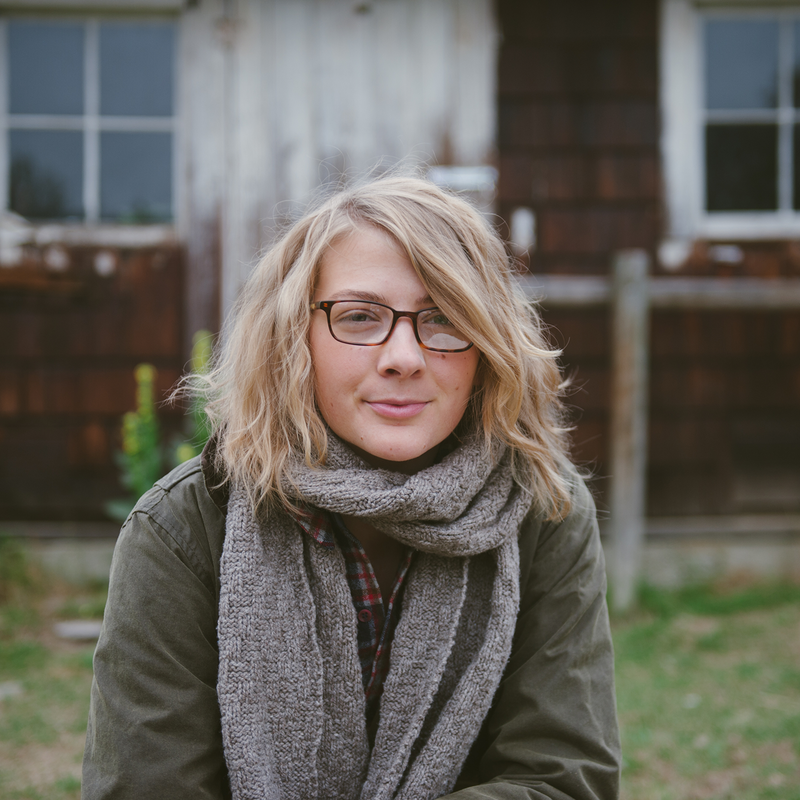 Ashley — thank you so much for creating this lovely podcast. I so identify with your perspective. each episode brings me so much joy! Thank you for your podcast, I LOVE it! You are very inspiring, I’m done wishing that I could live in a more rural area so I could raise my own fiber animals, and am now happy to make do with what I am blessed to already have around me, I am living the dream! Wonderful fiber friends, both online and in person, angora bunnies I use in my spinning and enough LYS in the area to fuel my passion for as long as I need! And congratulations to Brittany Needles for continuing an American tradition ! I swear by my Brittany cable needles, and they are my preferred DPNs. I like knowing the source of the wood, and the way the needles are made. I am 1/4 Lithuanian, so it’s extra special the wood is sourced there– u.s. Is great, but as it was said, small business is important everywhere! Brittany needles were my first knitting love, I still treasure those first sets of needles and hearing about the philosophies and practices of the company made me love them all the more. Have been listening to every episode…love the detail and the stories. Thanks for your thoughtful production. This is the 4th podcast of yours that I have listened to. Thank you for providing a relaxing conversation with industry pros – it’s inspiring and relaxing after an intense office job, to just sit and knit and listen. Thank you for putting them out so frequently – it’s hard to keep up! Thank you for helping us to get to know these people, through conversation. Knowing them is the first step, and following that is trust – and we consumers buy from those we trust. Brittany needles look beautiful, and as someone who works in process improvement, am excited about a company that puts that first with their needles. I would love the chance to win some! Love your podcast and I love Brittany needles. I use them whenever I need to do some serious comfort knitting. I looked to see if the needles were a a LYS near me, but not yet. I’m hoping to see them when I visit somewhere has them in their shop. Another great podcast!! I have several sets of Brittany needles and they are wonderful to use. I especially like the 2.5mm sock needles. This was an awesome podcast! I am so inspired by you and your guests! Not just knitting but what I am knitting with is becoming more and more important to me. You are causing change! Yay! Just found your blog and loving the podcast. I would love to try the Brittany needles. I have heard a lot about them. Really enjoyed the episode. Ah! I loved the Brittany interview-knowing the story behind this family business makes me feel even better about my growing collection of lovely Brittany needles! Also, my family and I are 2 1/2 years into our house build-great to get Chris’s encouraging thoughts on the timeline of DIY building in the grand scheme of things! I love these needles! I love the way they look and I love the way they feel in my hands as I knit with them. I splurged on a set and have been lusting after more sets/sizes ever since. I love wooden needles! These are gorgeous. I also looked up tapestry looms after listening to the podcast, and have now been seized with a strong desire to try! I’ve just finished listening to the podcast. It took me almost a week of on and off listening while working on my WIPs. What a joy it was! I really loved both stories, but most of all I can totally relate to summer/warm weather knitting. California doesn’t offer “classic” winter weather, but no matter what I keep knitting. And I don’t plan to stop. Just started listening to your podcast and now I am addicted. Loved this most recent and appreciate these hard working citizens that are creative, inspirational and love what they do! Thank you! Loved the stories, especially of the needle makers. Amazing podcast! Thank you for the podcast. I enjoyed hearing of the different challenges and experiences of other small business owners. I’m very curious about that needle wax! I enjoyed listening to Chris and Michri talk about their busines. Fortunately, my LYS sells Brittany needles, and I have a few sets in my collection! 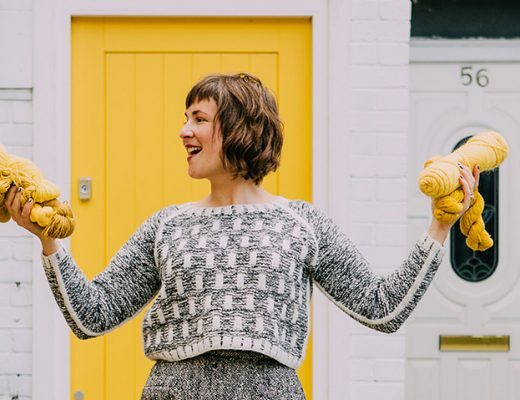 Just a few weeks ago, i was feeling a little ashamed for wanting to knit more than anything else during my days….and just then my daughter in law told me about woolful and your podcasts. I listened to #10 and immediately felt validated and purposeful! I was and am so tickled and thankful! 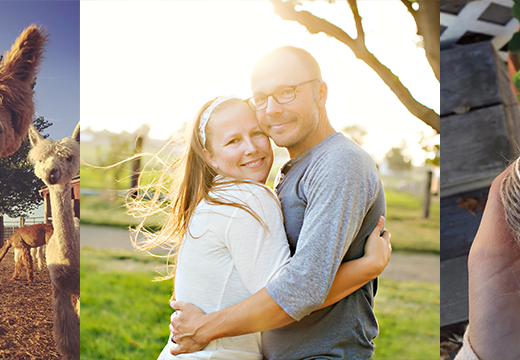 This week’s was also excellent as I love Brittany needles and appreciate hearing their story. Thank you so very much!!!!!! I loved hearing about Brittany needles – I didn’t realize it was such a small staff of family members. Their commitment to sustainable quality is amazing. I have heard about the Brittany needles, but haven’t yet been able to try them and would love to! I really enjoy your podcasts. The time you give to each guest, allows for in-depth stories and clear pictures to emerge. I have some Brittany DPNs and enjoy knitting with them. Another fantastic podcast. Loved hearing about collaboration, friendship, and farming then about family business. My first pair of needles were Brittany! Still have them! I would live to get the WAC for the needles I already have. Love love..
I’ve got one pair (so far) of Brittany’s and they’re great. I loved hearing about another natural dying business! This was the first episode I have listened to and I am so interested in hearing more! I have such a heavy respect for producers who are so dedicated to making a quality product. I have been listening to Woolful in the car everywhere I go these days (having just discovered it!) and it has been very inspiring. Thank you! Loved the chatting while darning things… thanks! Loved this podcast! And it was perfect because I listened to it on my way to Tolt Yarn & Wool for the Local Color Fiber Studio trunk show. It made my experience with the actual yarns that much richer to know so much about the dyers and their process. Thank you! Thank you for sharing a source for needles based in the U.S. They’re beautiful and I can’t wait to try them. Great podcast! I use Brittany DPNs for sock knitting and would love to try their new wax. I’ve been changing from metal to wood needles in the past couple years and they are kinder to the hands. I’d love to hear an interview with Tom and Linda Diak of Dyakcraft, formerly Grafton Fibers. They make gorgeous wooden needles. I have a set of 5″ interchangeables and have been waiting over a year for a set of 3 1/2″ interchangeables. And their DPNs are as smooth as silk. Really enjoyed listening to your podcast! I LOVED this episode! Boy it’d be great to work with my family someday. Brittany needles are beautiful and their attention to customer service is excellent. Really enjoying your podcasts Ashley. Thank you for sharing the love & inspiration and also educating me along the way. I just finished pod cast 12 and throughly enjoyed it. I heard about Ben from Clara Parks and have enjoyed following his work on instagram. Life on the farm is inspiring and I look forward to the next lambing in March! Wow – the only way to get some of this…please pick me! Have enjoyed ever one of your podcast, this one especially. 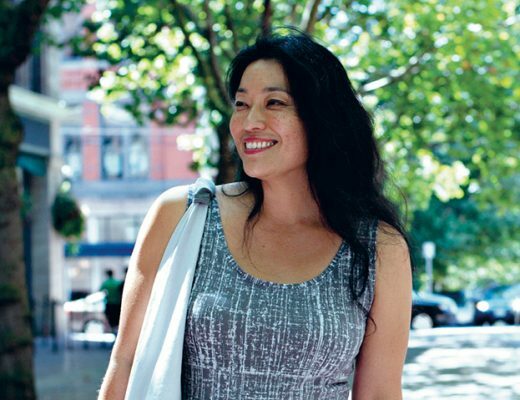 Maybe in the future you could interview the owner of your favorite yarn stores. I appreciate all the work that goes into the podcast. Lovely yarn and needles! Just found your podcast, it is really great. I so enjoy the conversations with the people in the fiber world. I’m looking forward to each new episode. Thank you for the work you are doing and introducing me to new products. Wonderful as always. So loved listening to Annie Clair and Benjamin. His yarn looks amazing and well.. 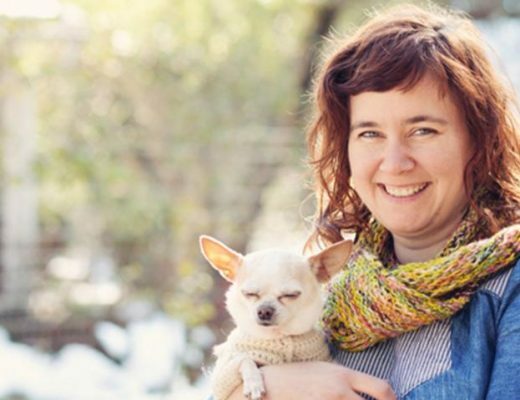 I learned to knit on double points with Brittany needles – the needles that started me on to the path I am on now. Thanks for the inspiration! 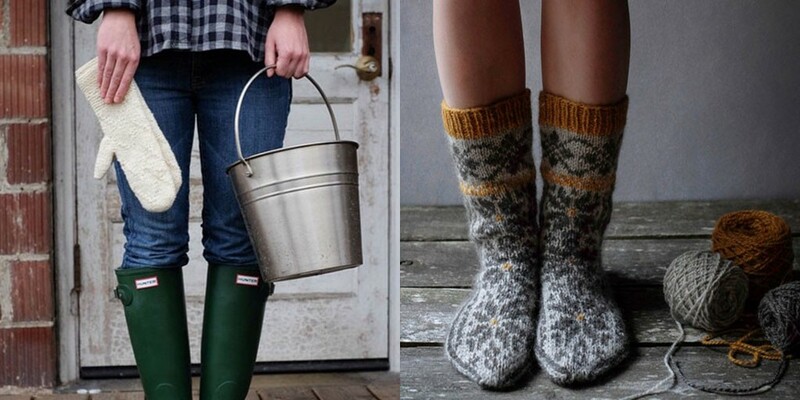 Beautiful needles, beautiful yarn! Wow! Love Hole and Sons! Been following this podcast and their Instagram for some time. Episode downloading as I type! Thank you for putting together such interesting shows. I love this podcast. The dorset is a beautiful breed. And Ashley, you are lucky to have a friend for knitting. I hope I win the poll dorset yarn. Just found your podcast and blog! Love it. I’m hooked! The Brittany needles are amazing! Thanks!